More than 4000 market vendors will not pay their market fees for the month of April. This was announced yesterday by the Minister for Local Government, Housing and Environment, Infrastructure & Transport Parveen Kumar Bala at the Lautoka Market. The market vendors who will have their fees waived are from storm-hit Rakiraki, Tavua, Ba, Lautoka, Nadi, Sigatoka and Labasa and Savusavu in the north. Mr Bala said his decision was based on requests from the market vendors and the respective municipal councils. While making the announcement, Mr Bala made a plea to suppliers and wholesalers not to raise the prices of vegetables and root crops too high. “There may be a bit of a shortage but prices have been dramatically increased and market vendors were now paying higher prices as compared to a week ago,” he said. Mr Bala’s announcement was met with cheers and market vendors approached him to thank him personally. 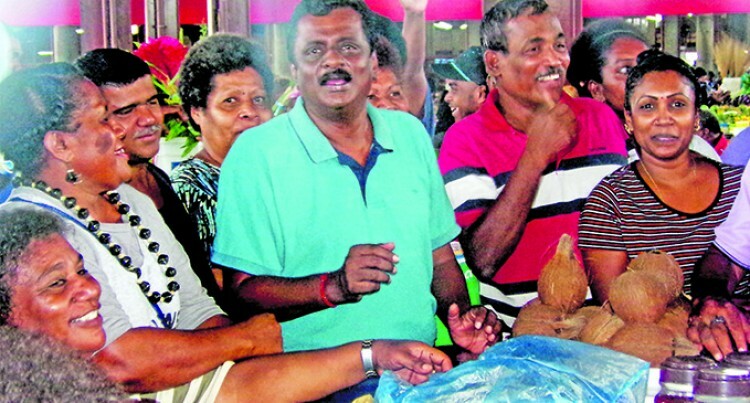 The Lautoka Vendors Association president Semesa Doidoi said his members were extremely grateful to Mr Bala and the Government for thinking of them.